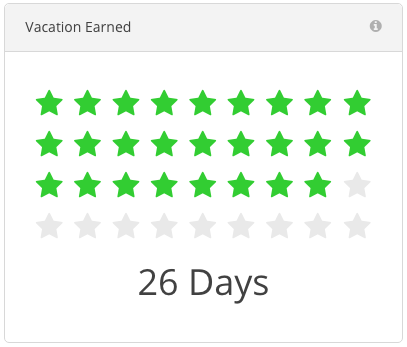 On your Dashboard you’ll find a Vacation Earned metrics widget. Based on your current revenue (paid invoices) the Vacation Earned widget calculates how many days you could take off work and still meet your goal for accumulated revenue to date. So go ahead and take some time off, guilt free! To learn more the Dashboard and its metrics widgets view the Dashboard support articles.